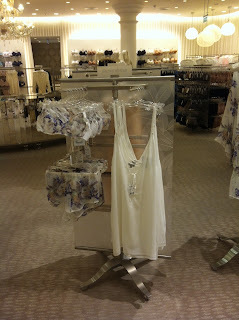 We are absolutely over the moon with how stunning the new SS12 collection is looking in Fenwick Bond Street at the moment. We have been informed by lots of friends who work in the area that it is looking beautiful. 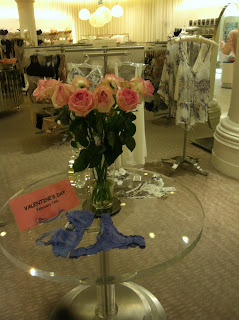 Despite valentines day having been and gone, you can still treat yourself or a lover to some silk lingerie. A silk playsuit is perfect for lounging around in, especially if you are lucky enough to be jetting off for some winter sun! Our printed silk knickers, bras and loungewear are perfectly on trend this seasons with prints being a vital part of your wardrobe - so stock up now!